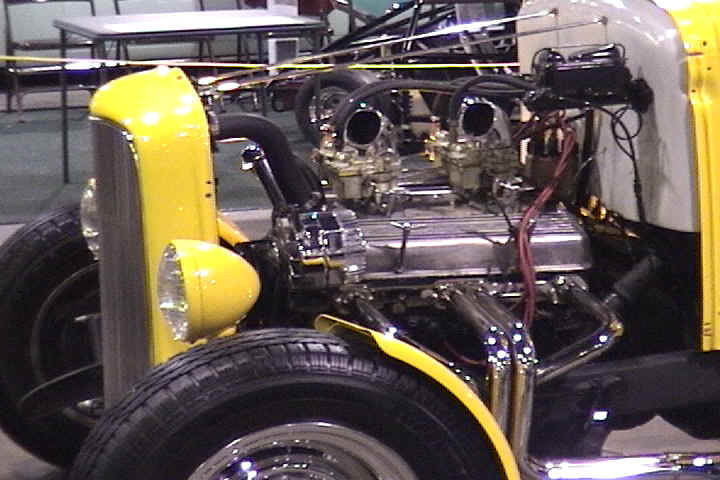 This is my version of American Graffiti's Piss Yellow Deuce Coupe driven by John Milner ( Paul LeMat ), for many years after seeing the movie I wanted the real 32 in the movie but deep down inside I knew it would never happen. I search and found the current owner of the famous 32 and tried to get some information on the car but he will only give me the basic info that is on his website. So it took me a year to build this and I change a few things around that I listed below. 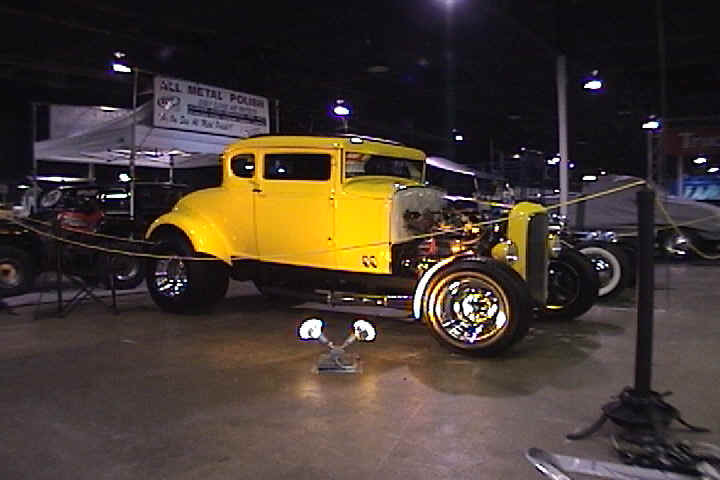 I recently won a Outstanding Award in Altered & Street Coupe Class at World of Wheels 2001 in Boston, MA. I am very proud to have built this car and will be doing alot more changes to this car until it is as close to Milners 32 as possible. 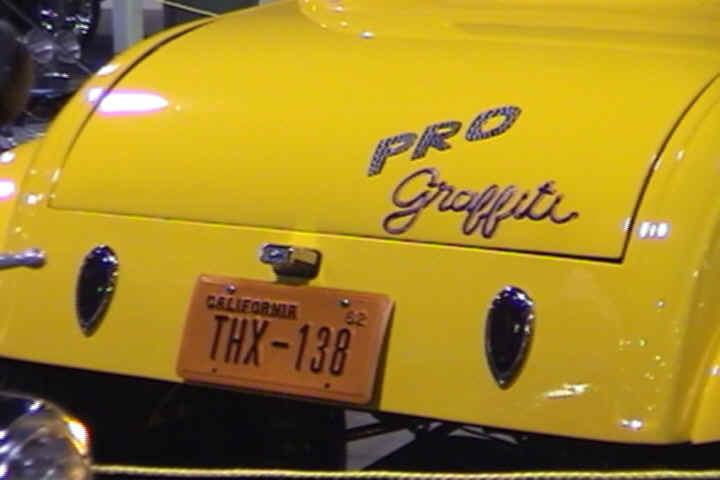 I am now building a pro street 55 Chevy which is call " Wicked 55 " to be shown beside " Pro Graffiti "
I am doing this for the love of Street Rods & American Graffiti and hope to soon have all 4 featured cars from the movie.